Potential homebuyers typically create a checklist of what they desire to have in their new house. When it comes time for you to sell your home, make sure that you are ready to “wow” those viewing it with your updated and well-organized garage. There some resources you have to option of using to ensure that your garage is in good shape for the people that move in. 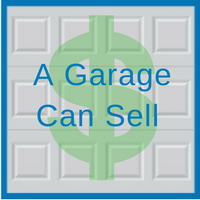 He or she may have first-hand insight on whether or not the status of your garage currently will help or harm the selling of your home. The number of cars that one can fit into their garage is sometimes critical to buyers. There are many families that prefer to have a two car garage because this gives them more space for storage. All you might need is just a little bit of a redesigning in your garage. Simply organizing what you already have and adding some paint or shelves to give your garage a more “homey” feel makes a big difference when it comes time to impressing potential home buyers. It is important to be aware of your property and community zoning laws. Zoning is a way for the local government to control the physical development of land and how you use it. Most of the time, zoning laws specify the areas in which construction on your garage may take place. If you cannot afford to remodel or redesign your garage, your must bet is to work with what you have and make sure that your garage is organized and presentable for people to view it. It is helpful for the space to be clean so that others can envision their belongings occupying it. If you plan on selling your home and you are in need of updating your garage, the experts at Blue Sky Builders are here to help. 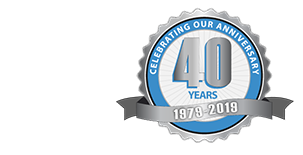 Visit our portfolio to see examples of our past work. Call 630-852-8485 to schedule a consultation.